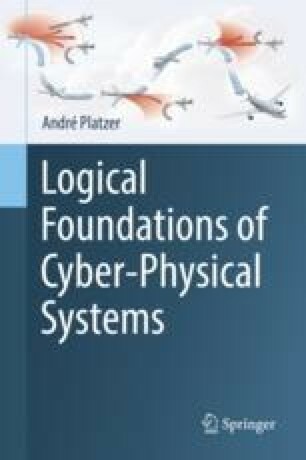 This central chapter develops a logical characterization of the dynamics of hybrid programs in differential dynamic logic. It investigates fundamental compositional reasoning principles that capture how the truth of a property of a more complex hybrid program relates to the truth of corresponding properties of simpler program fragments. This leads to dynamic axioms for dynamical systems, with one axiom for each type of dynamics. These dynamic axioms enable rigorous reasoning about CPS models and begin an axiomatization of differential dynamic logic, which turns the specification logic dL into a verification logic for CPS. While more advanced aspects of loops and differential equations will be discussed in subsequent chapters, this chapter lays a pivotal foundation for all dynamical aspects of differential dynamic logic and its hybrid programs.